Know anyone heading to Disney any time soon? 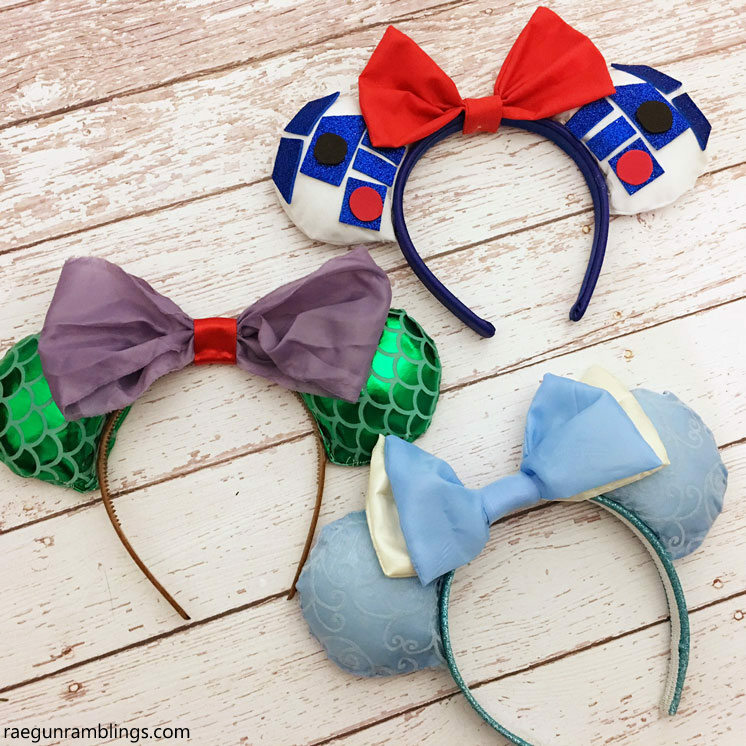 Well get them ready in style with these darling DIY Disney Ears. 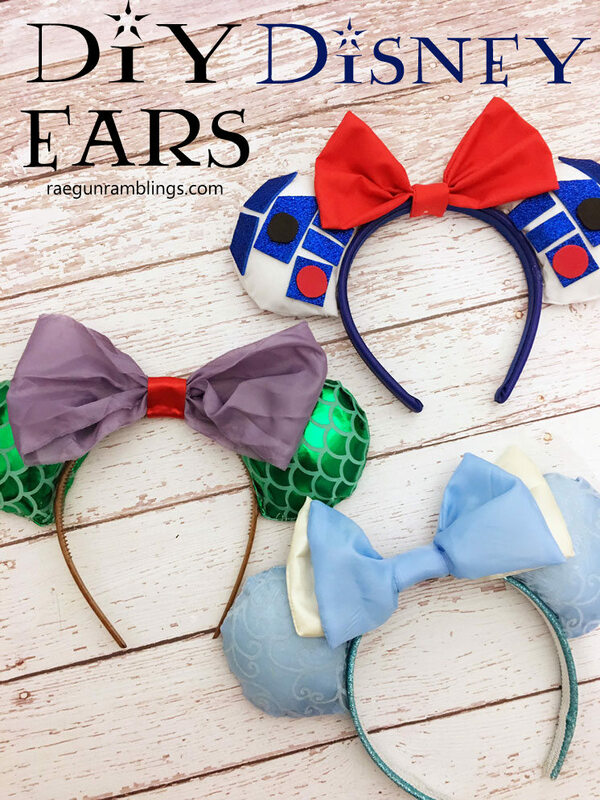 If you’re not the crafty type I have linked a bunch of places where you can go ahead and get the ears already made but guys this is really an super duper easy crafting project that even the uncrafty can do! I made a bunch of them live on Facebook. I’ll be editing it down to put here but for now you can catch the replay here. 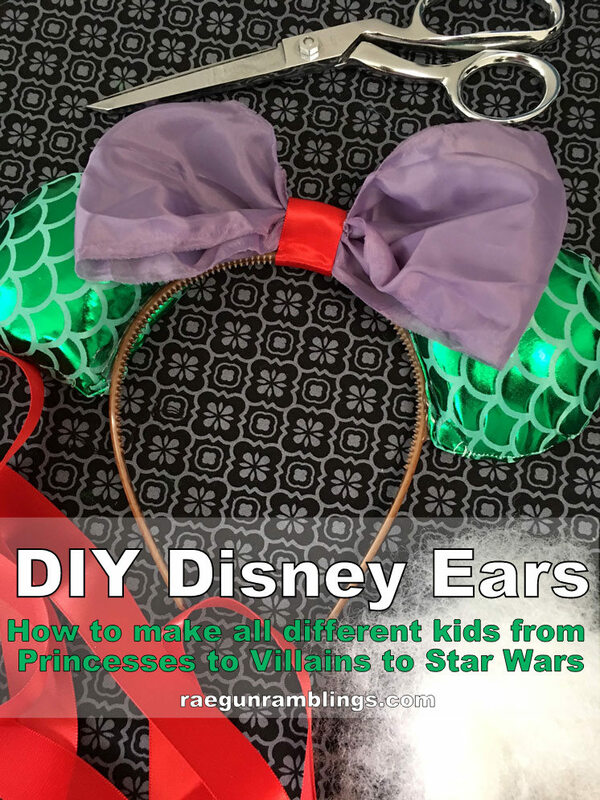 Print out free Disney Ears Template. Cut out 2 insert circles out of cardboard. Lay next to your headband and cut out any of the circle that goes BELOW the headband. Mark left and right. Cut 4 fabric circles (from template) out of the fabric. These should be two sets of mirror images. With right sides together sew or glue two pieces of ear fabric together leaving an opening big enough to insert the cardboard. Stuff with batting or fluffed up cotton balls. Glue or sew the bottom edge closed folding under to tuck in any raw edges. Repeat for the other ear. Glue ears and bow to the headband. But for now here is some inspiration. Love Star Wars? So do my nieces. 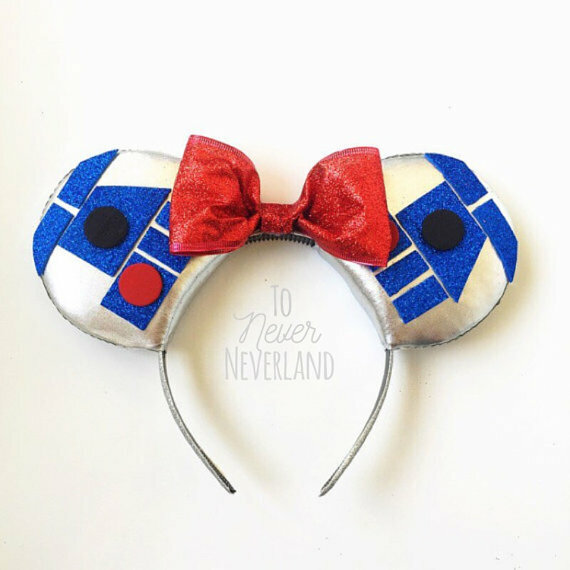 I’ll be making T some cute R2D2 Mouse Ears! 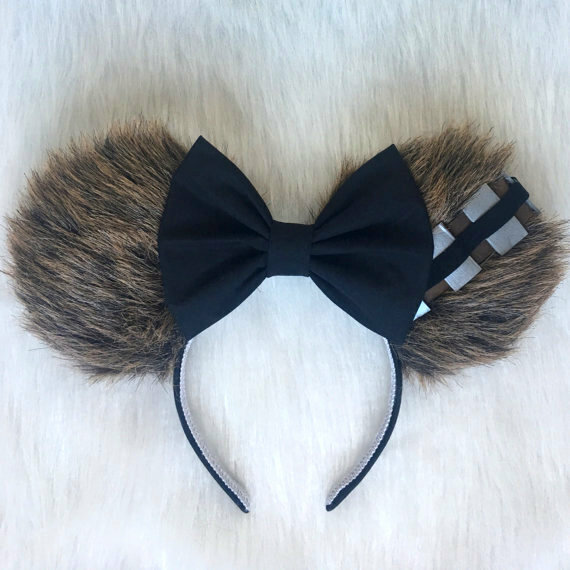 Oh and these Chewbacca ears I might have to make them for my sister since we found out grown ups can’t wear costumes to Disneyland so she can’t wear the Ariel Dress I made her. 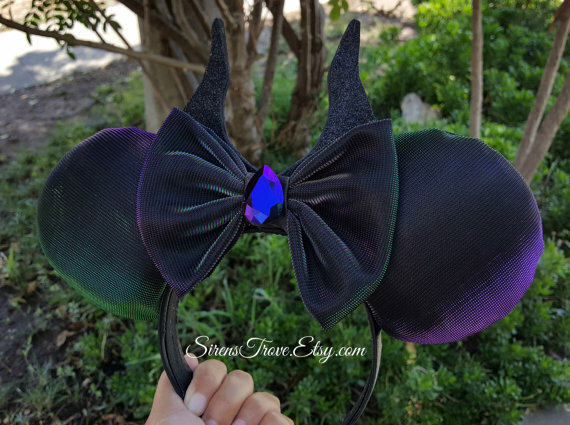 Speaking of my sister she requested some Maleficent ears. I think I’ll do something like these fun ones above but maybe add in feathers! Help me decide during the live video. I wanna be where the people are (Disneyland)…. 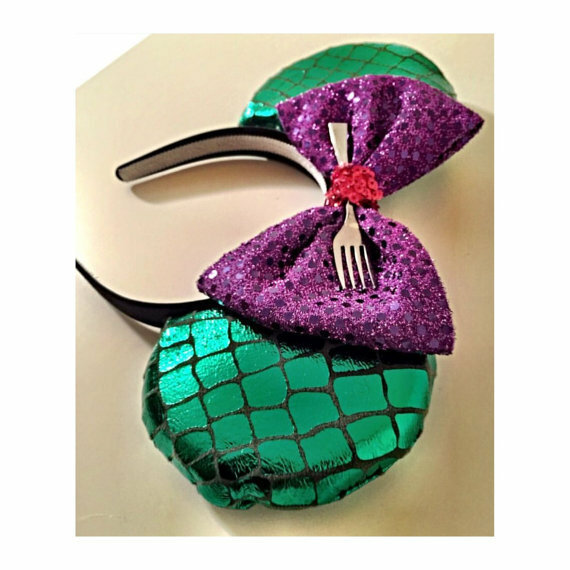 But really how stinking cute are these Little Mermaid Ariel Mouse Ears? My other niece requested Cinderella ears for her Mouse ears headband. I have a feeling that Teddy is going to be super jealous! 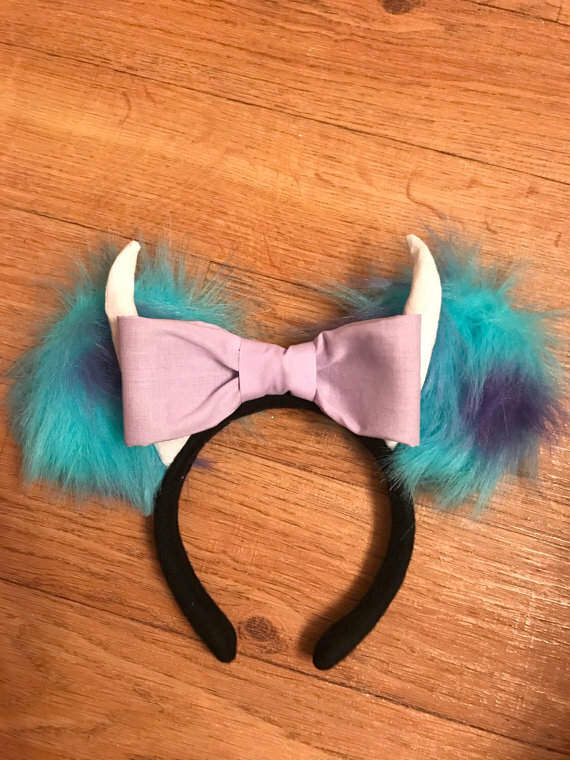 And even though I won’t be going to Disneyland with my sister and nieces this year I’m really tempted to make myself a pair of these awesome Sulley from Monster’s Inc. Mouse Ears. Crazy cute right!? I waited your tutorial on the mouse ears. I saw you made a template for the R2D2 parts. Do you have that posted somewhere? 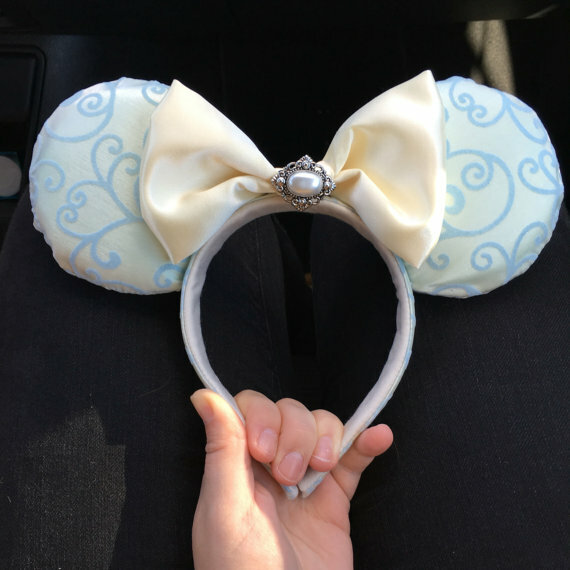 Thanks for teaching us how to make these darling ears. Cant wait to wear them at Disney World! I want to make tinkerbell or merida ears. 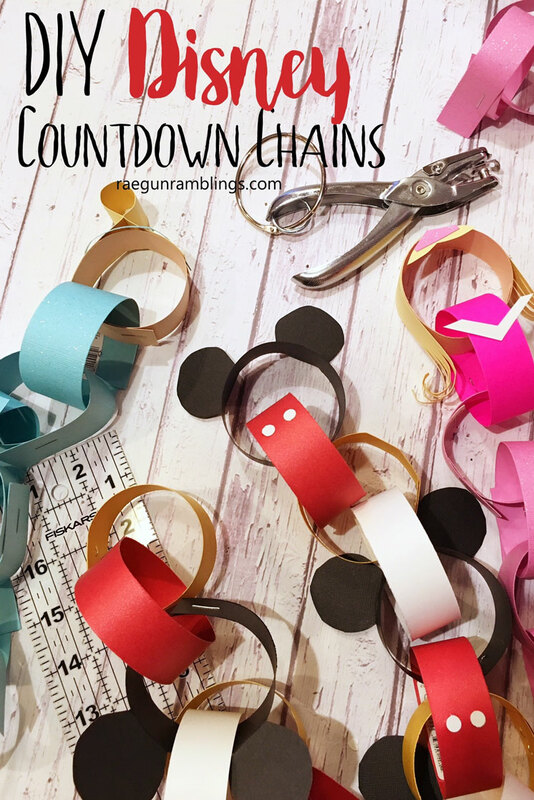 A fun craft I should do soon. So cute! I would love to link to this post from my blog using one of your pics. Would that be ok with you?